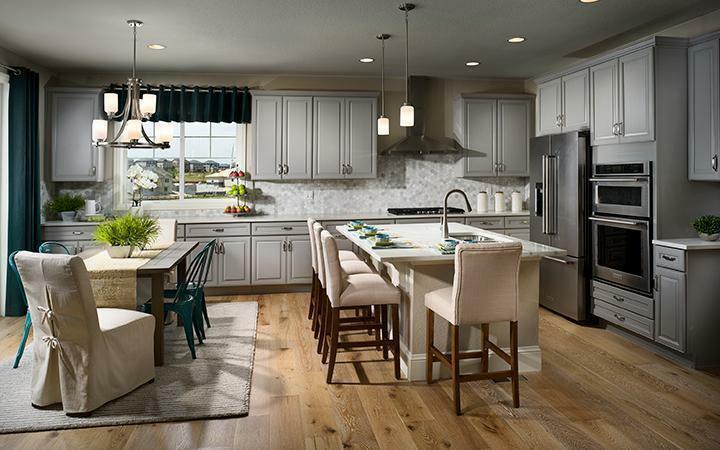 The Hills at Southshore, a new single family community in the Cherry Creek School district, offers 6 traditional and multi-generational 2-story homes and ranches from 1,673 - 2,542 square feet. These spacious single family homes, with highly sought after design features and flex spaces offer the perfect layout for any lifestyle. Southshore is a vibrant master-planned community in the “All-American City” of Aurora, conveniently located just minutes from shopping and dining and is less than 15 miles from Downtown Denver or a short drive to the Denver Tech Center. Enjoy life on land or the lake with trails, parks and a variety of resort-style amenities including abundant watersports and lakeside activities.